Born in Brescia, conductor Riccardo Frizzza is known worldwide for his specialist work in bel canto, and with the operas of one of his favourite composers, Giuseppe Verdi. Frizza is currently conducting a run of Falstaff at the Teatro Regio di Parma for the 2017 Festival Verdi, and next month he’ll head to Tokyo to conduct La traviata at the New National Theatre. We had the chance to ask him about the relationship between singer and conductor, conductor and director, and about his current favourite opera (hint: it’s by Verdi!). Among his operas, what do you think is most special about Verdi’s Falstaff? Is there any particular challenge in conducting a comedy? In my opinion Falstaff is a special opera, especially because it is the genius Verdi’s last opera. Also, having been written so many years after his preceding opera (Otello), it can also be considered as his final testament. With it, Verdi revolutionised Italian melodrama. By magnifying the “dramma” and vicissitudes of mystic characters, he addressed the problematic political situation of an Italy in the process of formation, and he finally decided to end his career with a comic libretto. The greatest challenge in conducting Falstaff is letting all the details in the score emerge. Conducting a comic opera is very different from conducting a serious opera, as you have to feel the rhythm of the comedy, which can be quite complicated at times. For non-Italian performers, what about the Italian styles of Donizetti, Rossini, and Verdi do you find are most important to grasp? I believe that the great singers of Italian repertoire do not need special indications. Actually, some of the great singers of the past, when it comes to bel canto, were not Italian. You only have to think of Joan Sutherland, Montserrat Caballé, Alfredo Kraus and many others. What do you think singers can learn from conductors, and vice versa? I believe that there is always a mutual learning process between performers and conductors. If a conductor is well trained he can pass a great deal of his wisdom to the performers, and in the same way a conductor can learn all about breathing from a singer. 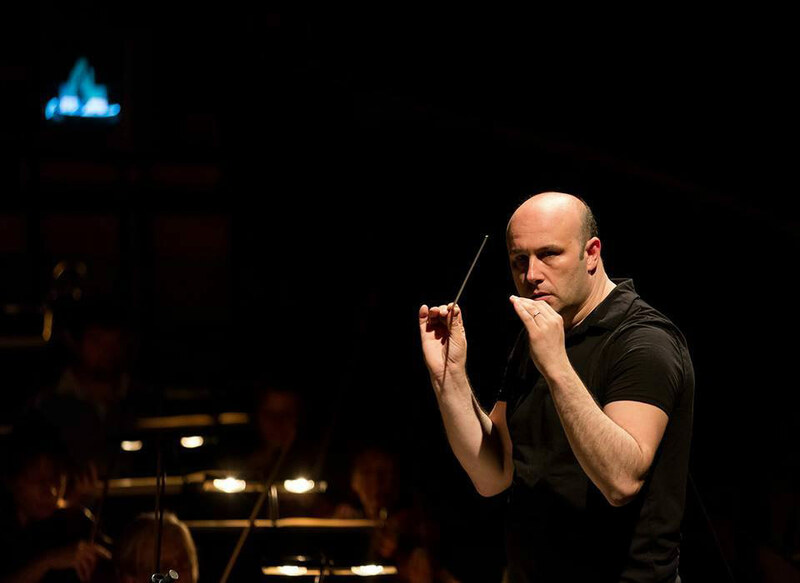 What do you think makes for a good working relationship between a conductor and director? Yes, it is really important. Very often directors these days are not musicians, and at times they do not understand that the music dictates the time and evokes psychological situations and mood. I think that to be a good director of operas it is not enough to be a good theatre or film director as it is necessary to have one great quality, which is to know and understand the music and, ultimately, to feel it. For more with Maestro Frizza, follow him on Facebook, Twitter and Instagram.